Biogeography-Based Optimization (BBO) uses the idea of probabilistically sharing features between solutions based on the solutions’ fitness values. Therefore, its exploitation ability is good but it lacks in exploration ability. In this paper, the authors extend the original BBO and propose a hybrid version combined with ePSO (particle swarm optimization with extrapolation technique), namely eBBO, for unconstrained global numerical optimization problems in the continuous domain. eBBO combines the exploitation ability of BBO with the exploration ability of ePSO effectively, which can generate global optimum solutions. To validate the performance of eBBO, experiments have been conducted on 23 standard benchmark problems with a range of dimensions and diverse complexities and compared with original BBO and other versions of BBO in terms of the quality of the final solution and the convergence rate. Influence of population size and scalability study is also considered and results are compared with statistical paired t-test. Experimental analysis indicates that the proposed approach is effective and efficient and improves the exploration ability of BBO. Scientists have been drawing inspiration from nature and natural creatures for years to solve complex search problems of real word. Global numerical optimization problems frequently arise in almost every field of engineering design and scientific applications. 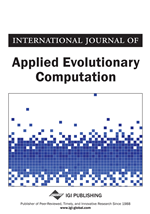 Many evolutionary algorithms (EAs) have been introduced to solve global numerical optimization problems in the continuous domain. Since 1960s genetic algorithm (GA) (Back, 1996; Michalewicz, 1992) based on principle of natural selection has been playing a dominant role in the optimization world. There are many different EAs for global optimization, such as particle swarm optimization (PSO) (Eberhart & Shi, 2004; Kennedy & Eberhart, 1995), differential evaluation (DE) (Kaelo & Ali, 2006; Storn & Price, 1997), evolutionary strategy (ES) (Yao & Liu, 1997), evolutionary programming (Yao, Liu, & Lin, 1999), bacterial foraging optimization algorithm (BFA) (Passino, 2002), and so on. Getting trapping in local minima of the objective function is the major challenge in global numerical optimization problems. This issue becomes more challenging when the dimension is high. Biogeography-Based Optimization (BBO) (Simon, 2008) is biology inspired and population based optimization technique and based on mathematical models of biogeography (MacArthur & Wilson, 1967). BBO mainly uses the idea of probabilistically sharing features (Migration operator) between solutions based on the solutions’ fitness values. This is similar to other EAs, such as GA and PSO. In BBO, like PSO, solutions remain continue from one generation to next, but in GA solutions “die” at the end of each generation. Reproduction strategies like GA and ES are not used in BBO. Unlike PSO solutions, solutions of GA and BBO do not have tendency to follow global best to clump together in similar groups. In BBO, migration is used to change the solutions directly, while in PSO velocity modulation is used to change the solutions. DE solutions also change directly, but it depends on differences between other DE solutions. BBO is applied to the sensor selection problem for aircraft engine health estimation and for general benchmark functions (Simon, 2008). The Markov analysis, on simple unimodal, multimodal and deceptive benchmark functions with low mutation rates proves that BBO generally outperforms both, GA with single-point crossover (GASP) and GA with global uniform recombination (GAGUR) (Simon, Ergezer, & Du, 2009). This is because a BBO individual use its own fitness before deciding how likely it is to accept features from other solutions. BBO is a new global optimization algorithm and has shown its ability to solve optimization problem. PSO is a population-based, self-adaptive stochastic optimization algorithm molded after the simulation of the social behavior of bird’s flocks (Kennedy & Eberhart, 1995). PSO is similar to other EAs in the sense that both approaches are population based and each individual has a fitness function. In PSO the interaction of the individuals are relatively similar to the arithmetic crossover operator used in EAs (Carlos, Coello, & Lechuga, 2002). However, PSO is influenced by the simulation of the social behavior rather than the survival of the fittest (Eberhart & Shi, 2001) also in PSO each individual benefits from its history whereas no such mechanism exists in EAs (Carlos, Coello, & Lechuga, 2002). The PSO method is becoming very popular due to its simplicity of implementation and ability to quickly converge to a reasonably good solution. However, it has a number of drawbacks, one of which is the presence of problem dependent parameters. It suffers from premature convergence when multimodal problems are being optimized. In PSO, loss in the diversity takes place due to the fast rate of information flow between particles, which results in creation of similar particles. This may increase the possibility of being trapped in the local minima. Several modifications of the PSO have been proposed to address these problems. Recent ePSO (Arumugam, Rao, & Tan, 2009) gives quality optimal solution with faster convergence. In ePSO, by considering the basics of the PSO algorithm, the current particle position is updated by extrapolating the global best particle position and the current particle positions in the search space.